Local and global leaderboards of top games (including Omni Arena, VRZ Torment, and Training Ops). You can create and display customized leaderboards. Player rank progression system with achievement points and awards for players to increase their global player ranking. 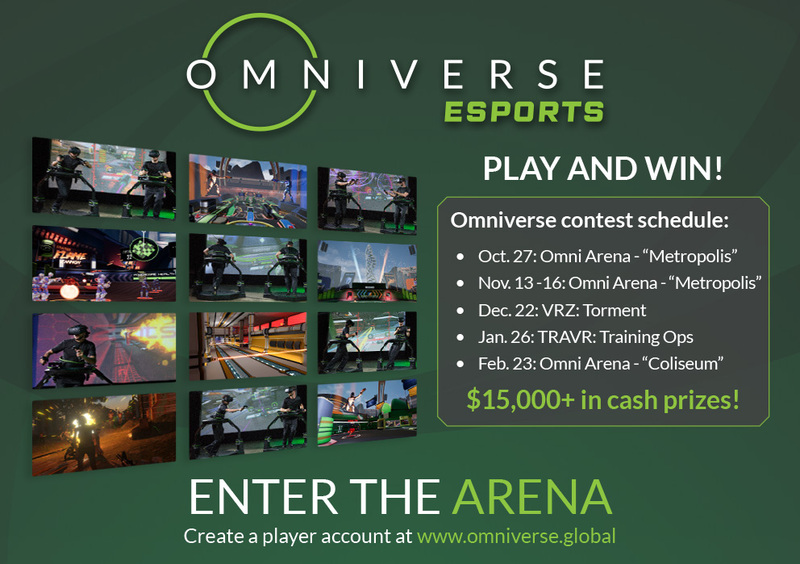 Future phases of Omniverse ESPORTS™ will include competitive “versus” game modes (1v1 or 2v2), bracket-style tournaments, and online competitive gaming. We aim to build a community of passionate Omni players who visit your venue frequently to play and practice. Participating in the prize contests is easy for you and doesn’t require much organizational effort. Player scores will automatically be added to the contest leaderboard if a player plays the contest game at a participating location on the contest day. The first prize contest will take place on October 27. 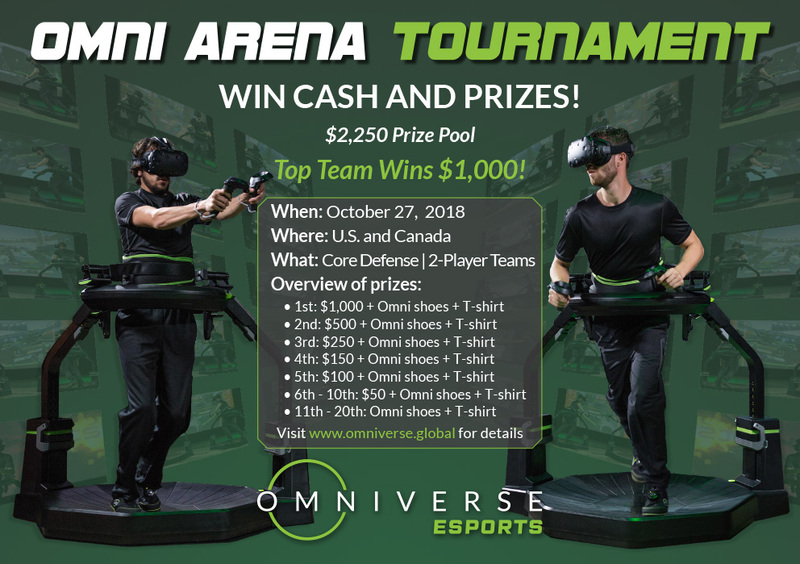 It will feature 2-player Omni Arena Core Defense (using a new version of Omni Arena optimized for leaderboard contests). This first contest will be for U.S. and Canada customers only. See the contest flyer and preliminary schedule below. The first contest will be held in the U.S. and Canada only. To participate, operators must upgrade their Omni systems to Omni 2.0 specifications. Future contests will be open to international operators who install the Omni 2.0 upgrades described below. Participating in the contests requires minimal effort from you, the operator. Player scores will automatically be added to the contest leaderboard if a player plays the contest game at a participating location on the contest day. Instructions for operators on how to participate, how best to charge players, and how to display the leaderboards. Instructions for players on how to participate and create a player profile. Marketing materials to advertise the contests on social media and in print form. 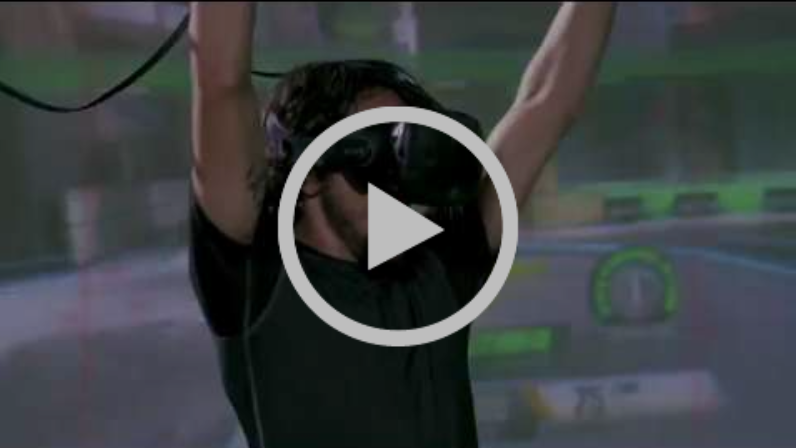 Copyright © 2018 Virtuix, All rights reserved.